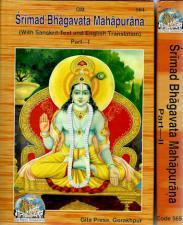 Our most popular translation of the Bhagavata Mahapurana in the famed Gita Press edition. Two huge books! 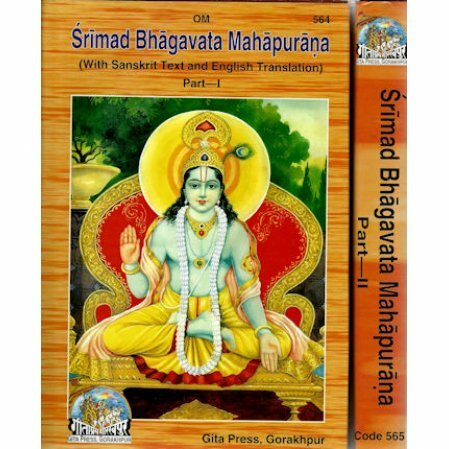 Our most popular translation of the Bhagavata Mahapurana in the famed Gita Press edition. These are two huge books! Included is the Sanskrit text with English translation. Book does not include transliteration. Please note that binding and paper are not to US standards for quality , but are still fine. If the set was published in the US, the books would have to sell for over $100.00. I am pleased to say that the order for the Bhagavata Mahapurana was filled promptly, the books were in excellent condition and am very satisfied with the service provided. This set of 2 volumes was exactly what we were looking for. Thank you.